Dementia affects around 850,000 people across the UK with some areas having a greater number of people living with dementia than others. 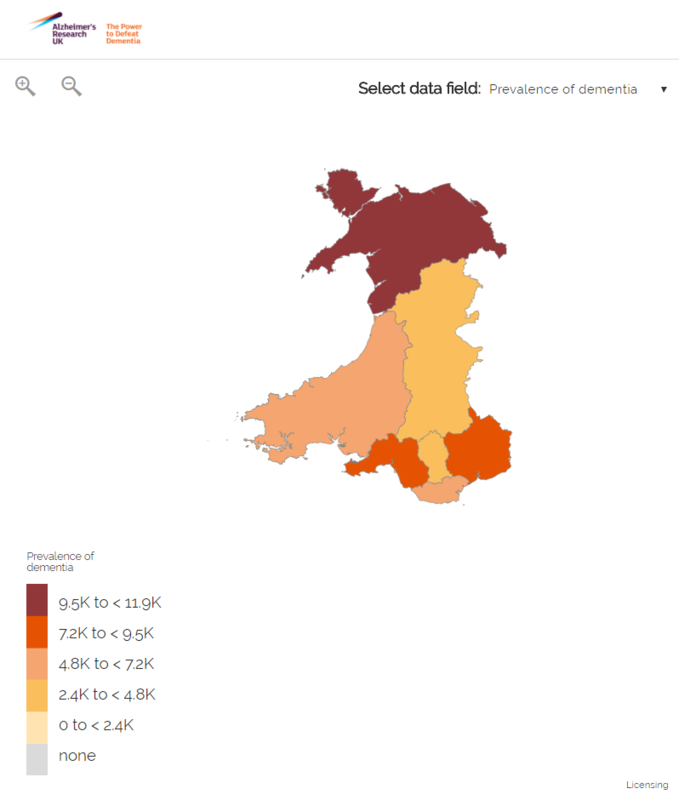 To help show this distribution, the maps linked below provide a visual and interactive representation of dementia prevalence by four different geographic entities; Westminster constituencies for the UK, Clinical Commissioning Groups (CCGs) for England, Health Boards for Scotland, and Local Health Boards for Wales. 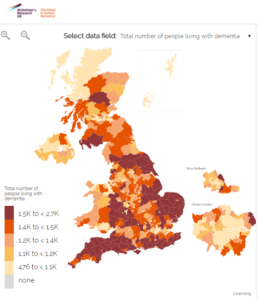 These tools are developed by using published population data and prevalence rates of the condition to estimate the total numbers of people in each area with dementia, for 2015. 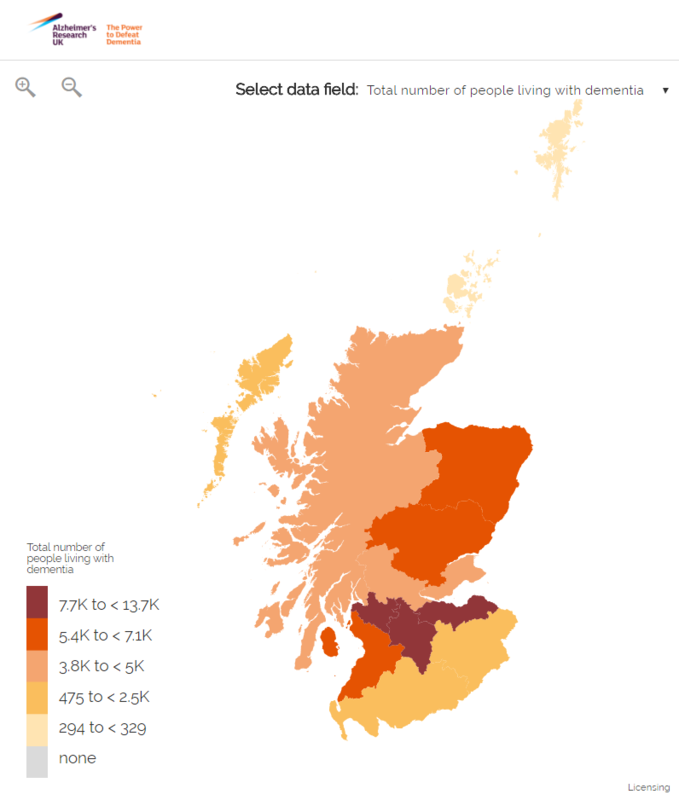 Each five-year age band from 30-34 up until 95+ has an associated dementia prevalence rate (an estimated percentage of that age group with dementia) from the Dementia UK: Update 2014 report and these rates are then multiplied by the population data from each constituency or CCG. In areas with larger populations and older populations, there will be a higher number of people living with dementia, as age is the greatest risk factor. This map uses Westminster Parliamentary constituencies to provide a consistent picture across the UK. 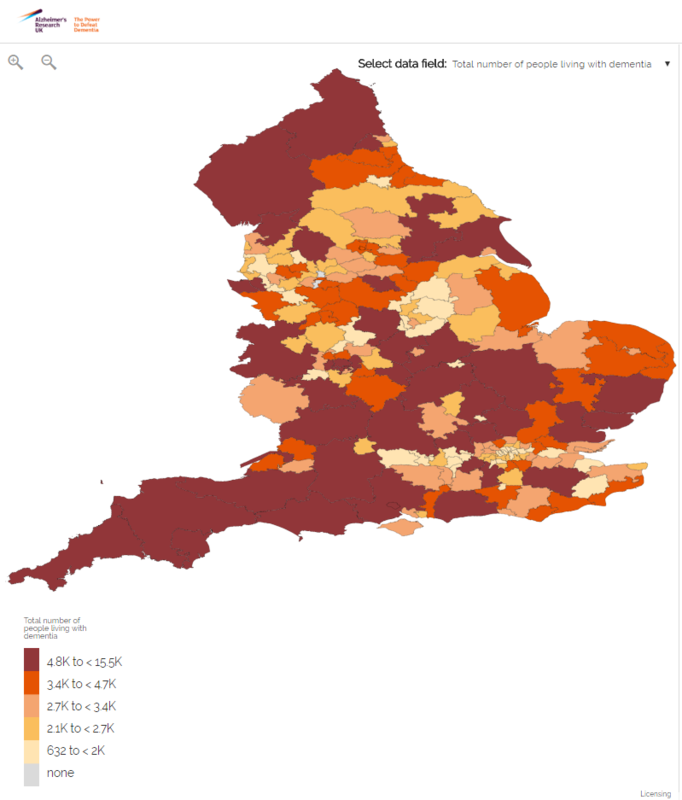 This CCG map contains data only for England as CCGs are specific to NHS England. Information can be made available on request. This Health Board map contains data only for Scotland as Health Board are specific to NHS Scotland. This Local Health Board map contains data only for Wales as Local Health Boards are specific to NHS Wales.